Initial test has been completed, after the addition of more white hairs to my head. 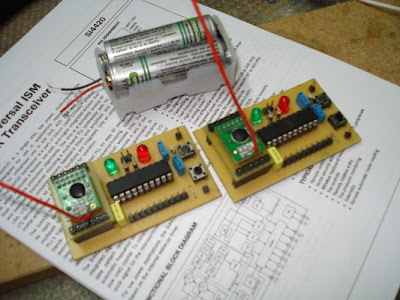 The module could send and receive packets correctly. I'm now focusing on how to minimise power consumption as we wanted the module/PIC to run for about 6-months with a simple AA (or AAA) batteries. Once that is solved, I'll move on to developing suitable protocol for master/slave monitoring requirement.